I travel vicariously through dramas — and it’s been that way for most of my life. It all started when I was a teen, infatuated with a fellow teenager — and one who was quite out of this world, quite literally. His name was Michael Guerin and he was a character on the late-’90s sci-fi series Roswell. As I followed the weekly adventures of the Roswell trio and their human friends, I’d wondered what it would be like to be where my favorite characters were, walking the same streets and passing the same buildings in Roswell, New Mexico. And then, on a family holiday to attend my cousin’s wedding in San Diego, California in late 2000, I was fortunate enough to go on a day trip to Covina, California, where Roswell was filmed. Having the chance to see the iconic landmarks of the show upclose — like the Crashdown Café and the UFO Center — was a big moment for me. It didn’t even matter that they were sets and not real places! What mattered most was that I was there, and I was a part of my favorite show, if only for a while. Fast-forward to the late 2000s, when my taste in dramas evolved along with my curiosity and keenness for the Korean language. It was then that I started on my very first K-drama, Boys Before Flowers, and fell for Casanova potter So Yi-jung (Kim Bum). As F4 made their way from Korea to New Caledonia and even to Macau, my eyes trained on every location, trying to remember what each of them looked like — such that I’d know, if I ever saw them for myself in real life. And that I did: On a maiden trip to Hong Kong with my best friend in 2009, I suggested that we head on a day trip to Macau — because why not? It was just a ferry ride away. My mom even got us tickets to watch Cirque du Soleil at the Venetian — so we had to go! I’m not sure about my (long-suffering) best friend, but seeing places from the show before me — like Senado Square, St. Paul’s Ruins, and even the egg tart shop — just made my fangirl heart so happy! Till today, the (incredulous) best friend occasionally tells the story of how I’d even found the bench that Yoon Ji-hoo (Kim Hyun-joong) sat on with Geum Jan-di (Gu Hye-sun) at the Venetian. On my first solo trip to Korea in 2011, I made sure to check out locations from two of my favorites from that time — Boys Before Flowers and 49 Days. Since then, my trips to Korea would almost always include visits to various drama locations both in and around Seoul. On my most recent trip this past May, I even made it out to Seongnam to check out locations found in Jugglers, Strongest Deliveryman, Because This Life Is Our First and Pretty Noona Who Buys Me Food! After coming back, I found out one of the locations I’d visited was featured in What’s Wrong With Secretary Kim. What are the odds (and why couldn’t I have seen them filming at the time…)? I must say that since I started including K-drama locations on my travel itinerary, I’ve had the chance to visit places I would otherwise never have thought about heading to. This includes places within Korea like Gangdong-gu in Seoul (where Strongest Deliveryman was heavily centered), the rooftop house in Incheon (Because This Life Is Our First), Bojeong-dong Café Street in Yongin (A Gentleman’s Dignity and What’s Wrong With Secretary Kim) — and really, who would ever think of going to a tech district in Bundang? But to find the “YB Ad” building in Jugglers, I went the distance. Aside from Macau, I’ve also tracked down international K-drama locations in Kuala Lumpur (Malaysia), and Singapore. I traveled vicariously through dramas over the years — but I’ve also been fortunate enough to be able to visit some of the same places that appeared on my screen. All this will probably continue to influence my real-life travel for a while more to come — not that I’m complaining! In fact, I’m rather looking forward to where else I’ll have the chance to explore in the future, and it’s all thanks to the wonder of K-dramas. you are a fantastic Kdrama fan!! next time i'll have to download that app! Thank you spazmo! If you're referring to Koreandramaland, it's more of a site than an app :) you can check it out at http://www.koreandramaland.com ! and nice that you stayed at The Seaes Resort! how was that experience for you? i submitted photos on the site - most are along the Olle Trail that we walked from the resort. that sounds amazing!! you're making me hungry already with your descriptions, hehe. also apologies - think the images didn't send through. mind if you send the pictures to info [@] koreandramaland [.] com? (just remove the necessary spaces/brackets. you can cc me too at mich [@] koreandramaland [.] com :) looking forward! What a nice write up. I too was a Roswell fan. After reading this, I've suddenly had the thought of making a long trip to the States and visiting New Mexico, which never occurred to me before! thank you @growingbeautifully! (and lovely name, btw :)) nice to meet a fellow 'Roswellian' here! it's been so long since I'd last talked about that part of my fangirl life haha. funny though - visiting the real city in NM was never on the cards haha. and honestly, with k-dramas going places nowadays, you'll just never know! your next vacation spot could be the next filming hotspot as well ;) enjoy your holiday! I was waiting for one of these to pop up. Great post. Traveling with a best friend sounds like a wonderful way to do it. Especially if she doesn't mind sight seeing trips to benches. I wonder how common it is to come across a show filming when in Korea? and to answer your question - it really is about being at the right place at the right time, sometimes. for example, i had missed out going to a WWWSK filming spot by one(!) day - not the one that i'd mentioned above; this was in Hongdae, and i was there the night before; and years ago, i spotted a van for 'Need for Romance 2' in Daehakno. on the flipside (as i wrote briefly here: http://bit.ly/kdl-bundanglines), i chanced upon 'Pretty Noona Who Bought Me Food' filming when i was at a location! just didn't see the stars. omg, to miss WWWSK by one day 😭 is tragic. LOL! I would have slept there overnight for a chance to see PSJ 😝 if I'd known. But speaking of where they do a lot shooting, there was a Beanie named Kender who was really active around May and Summer of 2016. She lived where they shot Beautiful Gong Shim and said dramas used her neighborhood all the time. You might want to see if you can get in touch with her via the Beanie network. Korea is small enough, and puts out enough content, that it probably isn't too uncommon to run across shoots. I don't actually know for sure. But my brother-in-law (who is not a drama fan, was in the country for Air Force reasons, and therefore was not searching these things out), ran into a drama shoot by chance. Pics on my fanwall. That's sweet that he took the pics for you. Like, "Oh, my sister will love this." Lovely. I had made a list of On The Way to the Airport's locations too. I hope I'll get the chance to go to Korea soon. Aww. I will love to visit some of the places of interest showcased in 2 Days & 1 Night too. Of course, shooting locations of other dramas as well. YES! Dowoo's house in Jeju! it's 1st on my list! i'm just sad that the ornaments used in the drama are not longer there. sighs, props after all. i will love to visit his house in Yongin too, which is a Art Foundation in reality. i see! yes, that cafe is on my list too, but priority is Dowoo’s architecture office & the balcony. may be tough since it's a real office space i think, so i guess will have to make do with Hyunwoo's bar. yes~ autumn is my 1st choice. i was looking at end October.. afraid early November will be alittle too cold for my husband.. lol. we shall see! think it shouldn't be too bad! it was around mid 10s-low 20s when I was there? but i suppose if your husband doesn't appreciate the chill.. that might still be considered cold! hope you find a time that suits both of you :) and that you'll get to see more OTWTTA sites! yeah, i thought so too. i love the cold weather but my husband doesn't, so yep... i afraid the temp will go down to single digits in early nov, that's why. Also, one doesn't travel all the time, unless you are a national geographic photographer or a famous singer, etc. I know your travels have been happening once in a while since 2009, and I congratulate your choices. I once found a dream picture of a street in the city I live right now, and I liked it sooo much that I decided to go there. Found the place through the reference of a certain cafe there and google maps, then I went by bike, and I took the exact picture that I found online with my cellphone. I realize the internet picture was edited, so that the colors looked brighter, but the place was the same, and still it looked exactly the same! I loved it! I shared both pictures with the members of my family, which are all scattered in other countries. And I felt kind of nice because I was there. I imagine your feelings were similar. Good for you. It's fascinating for kdrama lovers to go to that extend, visiting the drama location! I loves kdrama n travel too (but purely travel). By chance, I have visited a few kdrama locations in Korea, but too shy to take my selfie there. Hope to visit Jeju soon! thank you An-naum! yes omg time for a marathon indeed - have you heard about the remake!? there's going to be one and Shiri Appleby is going to direct one of the episodes!! hehe yes, it seems a bit strange maybe that fans go the distance (quite literally) to visit locations, and i write about it from my perspective here: http://koreandramaland.com/why-search-forvisit-k-drama-filming-sites/ - nice that you've been able to visit some locations too! What an exciting life you lead girl!!! Moi so jelly! And man didn’t I LOVE Michael Guerin, Liz Parker, Max Evans, Isabelle Evans, Maria Deluca and Kyle Valenti!!! Oh oh and Alex too! I used to DREAM about going to Roswell and checking out the set! I can’t believe the UFO centre is real! Damn you hit me with a big dose of 90’s nostalgia! thank you @fencejumper! am thankful to have been able to do so, really :) is there anywhere in k-dramaland that you're keen on visiting? That amazing wall-to-floor library that featured in Chicago Typewriter and a bunch of other dramas (including WWWSK I think). The scenery in Jeju too is beautiful so maybe there. nice! the Forest of Wisdom library (https://koreandramaland.com/listings/forest-of-wisdom-library/) is somewhere I'd like to visit for sure in the future. Jeju is also on my to-visit list but not sure when that's gonna happen >.< I can only dream (and see it through K-drama) for now! Oh, Jeju...I'm also eager to visit it in the future thanks to the drama 'WARM AND COZY'. The drama was obviously intended to promote Jeju for potential tourists. @bernadett Warm and Cozy was one giant Jeju PPL. Yet the scenery was astounding. I also would like to visit Seoul one day. But the thought of how much time the flight takes (almost 1 day, with changing flight) and how many the ticket costs discourages me. i understand, @bernadett >.< long distance travel is always a challenge. but, when the time is right and everything falls in place, i hope you'll be able to make that trip to Seoul one day. it would be worth the journey! What a lovely write-up. I, too, am green with envy at how often you've been able to go to Korea. However, I'm of the opinion that traveling the world makes you more empathic and sympathetic to the plight of the human race and makes you a better person. So, I'm glad you are able to travel so much because you sound like a wonderful human being! And one day, I'll make it to Korea and maybe be able to happen to meet you on another one of your journeys! i hope to be able to meet you too - somewhere in the world, if not Korea! loved every word! you are doing what i wish i could do! i made it to the coffee prince sites which was awesome but i want more! thanks so much @diana-hansen :) great that you managed to make it out to the Coffee Prince sites! which other locations are you keen to visit? I've been having so much fun with koreandramaland for the last few weeks, locating everything from the random coffee shops to the Cliff of Non-Doom. I can't believe you guys even get down to the map coordinates and the bus routes. It's fantastic. 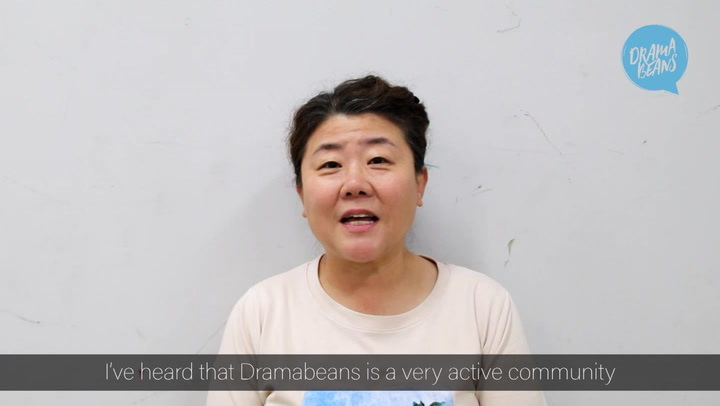 thank you once again :) i hope this inspires fellow Beanies to see the real life K-dramaland when the time is right! Cool. There's many, many drama filming sites on the koreatravelart site. I'm partial to SLA and especially Seon Jae's rooftop home! thanks for that! am familiar with KTA. KDL has many filming sites too ;) but always good to have complementary sites since all of us can't cover everything, hehe. I'd heard a lot about SLA back in the day, maybe i should watch it. where else would you plan to visit if you were to do an SLA 'drama tour'? Congratulations @michh for being published. I love travelling but due to hectic schedule I'm not able to travel much. I wish I can travel to one or at least few drama locations one day for sure. thank you kindly, @mimu1234! grateful to be able to share my story :) but as shared with other commenters above, my life isn't all that exciting! days not traveling are spent battling the daily grind and saving towards the next escape ;) i hope you'll have the chance to visit your fave drama locations in the future! are there any you're keen on going to? thk u! i was so thrilled to read yr post. i immediately went to type in Mr. Sunshine... and whoa... a whole treasure trove to keep me occupied til next week! thank you, and most welcome @lizmesenas21! i think even if you're still learning Korean, you can still make the trip - nothing like on ground training, right? ;) and you'd probably learn best too when conversing with locals, cos you'll have to pick up really quickly. unfortunately we've not started on pinpointing locations for Mr Sunshine just yet! but if you ever visit Daegu, Keimyung University is a nice place to visit: https://koreandramaland.com/listings/keimyung-university/ - Mr Sunshine, Love Rain and Boys Over Flowers are all filmed at different campuses! hello Tim! thank you for your kind words :) it's actually a place called Tea Plus! https://koreandramaland.com/listings/tea-plus-%E5%A4%A7%E8%81%96%E8%B1%AC%E6%89%92%E5%8C%85-macau/ - but Lord Stow's Bakery also sounds delicious. I see that you've been following Mister Sunshine! I've been wanting to get into that drama but as much as people rave about it, it seems a little heavy (although, I'd want to watch it for Byun Yo-han, hehe). how's it so far? I'm still sort of new to k-drama, but of the dozen or so shows I've watched so far, Mr. Sunshine is the best. It's like watching a movie. wow! that's a lot of shows you've watched for someone who's new to k-drama :) which other ones have you watched? Here is my list so far...they are not in any type of order. wow! what a list! those are some pretty diverse choices there :) (most i've not yet even watched myself! but Misaeng was so good) you may have heard about 'Signal' and 'Tunnel' being mentioned here in DB - I highly recommend both. Goblin is a must see and Coffee Prince , My Wife is Having an Affair. If you havn't already read a little Confucious. It helps to understand the motovation of the chairacters. Also the climax of the movie or drama isnt in the middle. No it is much closer to the end of the film or drama. what is in the middle is the "meaning of the time" the place where fate and chance meet. You are going to love dramaland. Quality and content and lots of it. @Mich Great to hear about your experiences traveling and visiting KDrama hotspots! I did something similar last year. Visited Quebec City with a friend (non-kdrama watcher) and we ended up visiting as many Goblin taped locations as possible. We used a list of pictures of scenes and addresses found on-line. My friend had no clue about the drama, but she was invested in finding the spots and taking a picture of the exact scene placement. Adult treasure hunt. We had a great time. I would love to do this in South Korea. Any recommendations? hello @puni1028! nice to hear from you, and thanks for sharing your experience in Quebec with the Goblin sites! so good to have a friend joining you on your quest, especially if she's just as enthusiastic :) if you're keen to share your photos on KDL (location only), pls reach out to us at info [@] koreandramaland [.] com :) you'll be credited for your photos! well, what you can do is to pick a neighborhood (https://koreandramaland.com/seoul-neighbourhoods/) or subway station (https://koreandramaland.com/search-by-subway-station/) and discover the kdrama locations at each one! chances are there would be at least one or two - depending on how interested you are in the drama(s) that it features in, but still you might discover something new! one of my favorite Seoul neighborhoods as of my last trip is Gyedong (https://koreandramaland.com/a-kdrama-afternoon-in-gyedong/), which is close to Anguk station. I documented my route in my blogpost, but there's a lot more to see yet! i really liked the laid back vibe there, with some modern touches to an otherwise still 'old-world' neighborhood. and it's also a nice alternative to Bukchon Hanok Village cos there are quite a few hanoks there too (it's on the peripherals of Bukchon). oh - and the high school in Goblin is located there too! another fave location of mine is the Seoul Fortress Wall (Namsan/Mokmyeoksan station), which I wrote about here (http://koreandramaland.com/kdl-2017-roundup-3-our-favourite-scenes-and-sites/) - seeing it in autumn last year was just an amazing sight! quite fascinating to see it change with the seasons. I loved Roswell! I even lived close to Covina, but didn't find out that they were filmed there until after the show ended (booooo!). I still drive through Downtown Covina from time to time. There's going to be a Roswell reboot, but doubt they'll be filming in Covina again. No remaining sets that I've found. Crashdown Cafe is now a Mexican restaurant, though the brick wall alley where Liz would look down at Max is still there. There's been a lot more development over the years. Man, now I want to go back and watch "Roswell" again! oh wow! that brick wall alley... suddenly i see flashbacks in my head haha.